It’s another glorious, sunny June day – perfect for outdoor adventures. We’ve now reached day 27 of the 30 Days Wild Challenge, and today we’re focusing on geocaching. So what is geocaching? Geocaching.com defines it as a ‘real-world outdoor treasure hunting game’. The aim of the game is to find hidden containers, called geocaches, using GPS-enabled devices (including smart phones), and then share your experiences online. It’s a little like letterboxing, which first started in Dartmoor in 1854 (and still goes on today). Players hunt for hidden boxes on Dartmoor, each containing a rubber stamp, which you can use to stamp your own notebook or postcard to prove you’ve been there, and a log book where you can record your visit or leave your own mark for the next visitor to find). Geocaching works on the same basis. It’s is a great way to get the whole family outdoors and explore different areas while you’re on holiday in Cornwall. You never know what kind of treasure you might find in the caches, and that’s half the fun! Two of our guests, Sam and Olly, with the geocache they made. 2. Search for interesting geocaches in a particular area online and decide which ones you want to hunt for. 3. Seek out the geocache using a GPS device or smartphone (there are free apps you can download). The co-ordinates will take you close to the cache, but you’ll still have to hunt for it once you get there – some of them are very well hidden! 4. 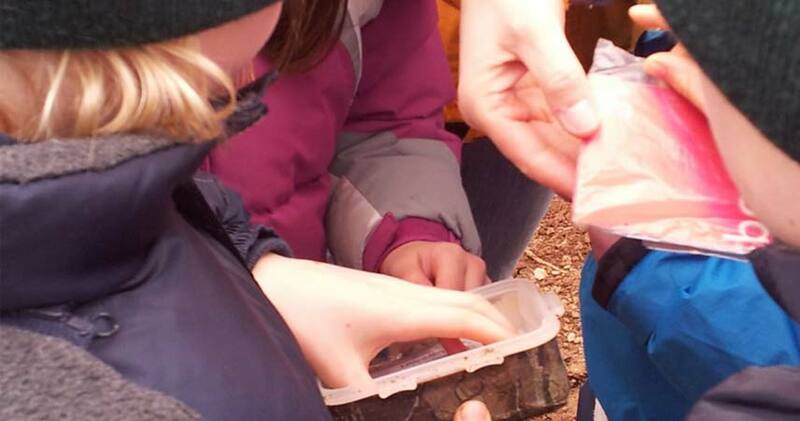 When you find the cache, sign the log book, choose a ‘treasure’ and leave something behind for the next person to find. 5. Log on to the website again and share your experiences with other treasure seekers. And if you’ve enjoyed your geocaching experience, why not make your own? All you need is a small, weatherproof box, a log book and a few treasures to put in it. Once you’ve decided where you’re going to hide it, you can register your cache on the website for other treasure hunters to find. If you’ve tried geocaching recently, we’d love to hear what you thought of it, and any tips you have for how to get the most out of it. P.S: There are two geocaches very close to Bosinver, so if you fancy getting started with geocaching next time you visit us, you won’t have to go very far! Editor’s note: this blog was first published in February 2012 and has been revised and updated. If you’re taking part in the 30 Days Wild Challenge, we’d love to hear about all your random acts of wildness. What’s been your favourite activity so far? Don’t forget that there are lots of ideas for how to make the most of the natural world on the 30 Days Wild website. You can read all about what we’ve been doing as part of the challenge on Facebook, Twitter and our blog.